Want to build bigger,stronger and rounder shoulders? 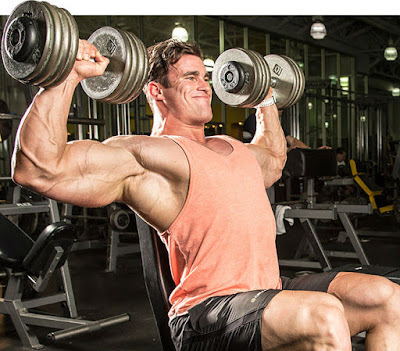 Try some shoulders workouts in your gym for great and muscular shoulders. 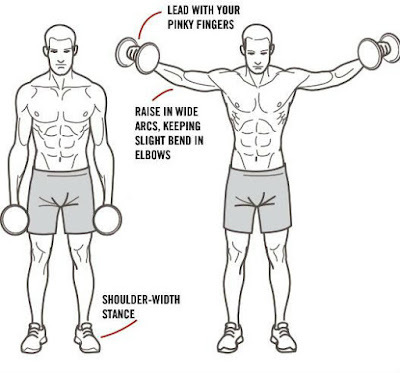 Don't have to force your shoulder higher than is comfortable. If you raise too high, you may feel some impingement. Remember one thing You're working the muscle, not the joint.Your elbows should always be slightly higher than your hands and your pinky should point up at a 45-degree angle. 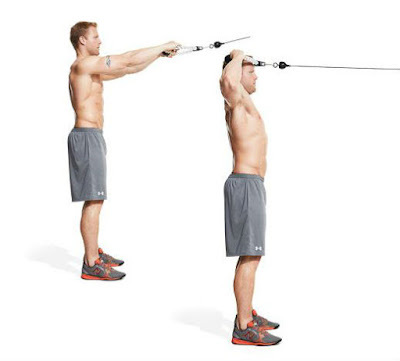 Secondly take any over head movement for shoulder like overhead dumbell press,standing barbell press,military press etc,yes am show only one postion in the above picture but you can do any overhead movement for shoulder whic i mention.For more strength and stability include at least one standing press variation.